and their challenge. 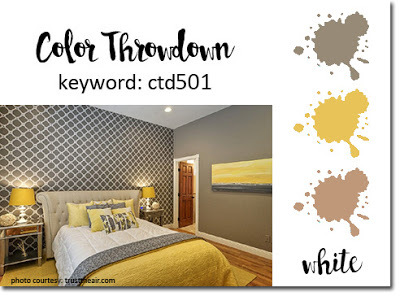 Gray, Yellow, Kraft and White. In SU! colors, that is Gray Granite, Pineapple Punch, Crumb Cake and Whisper White. 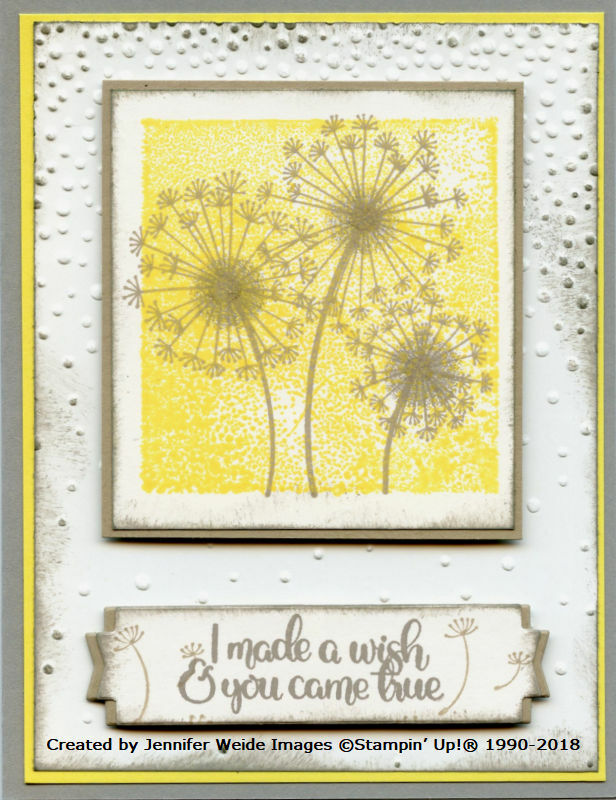 The card base is Gray Granite with an accent layer of Pineapple Punch behind the Whisper White background. The background is embossed with the Softly Falling Folder and the edges sponged lightly with Gray Granite. 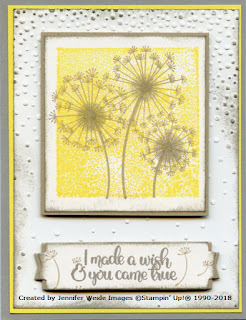 For the dandelion image, I inked the 'D' clear block with Pineapple Punch and stamped it onto Whisper White cardstock. I then stamped the Dandelion over it with Crumb Cake. I dabbed some Gray Granite in the center with a sponge dauber and brushed just a bit of Stella on the very center. The saying is on a banner cut with the Lakeside Framelits. The saying is in Gray Granite with a few small flowers in Crumb Cake (stamped off once). Edges are also sponged and layered onto a second banner of Crumb Cake. The banner and dandelion image are attached with dimensionals. Thanks for stopping by today! Hope to be back soon!! Product details and shopping links below!! Love those dandelions! So happy you joined us at CTD!